SnapGene reads Vector NTI® sequence, sequence archive, oligo archive, contig assembly, and multiple alignment files. 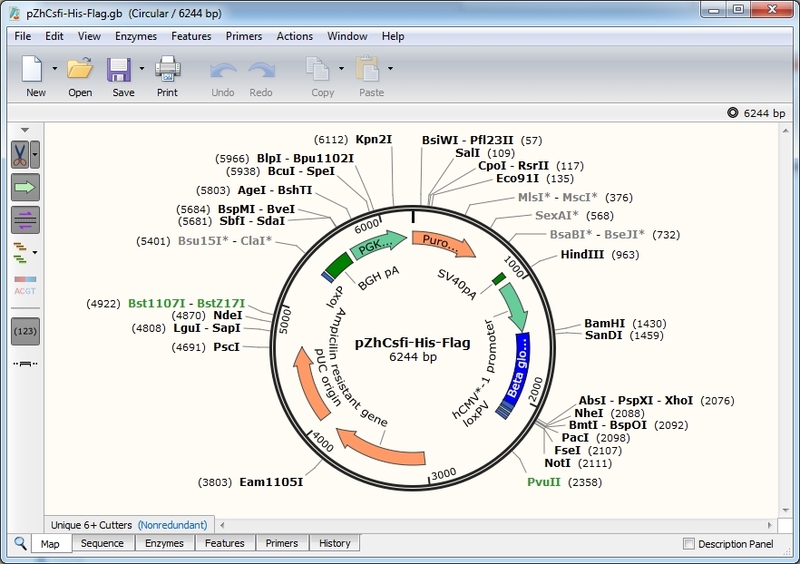 SnapGene and SnapGene Viewer can read sequence, sequence archive, contig assembly, and multiple alignment files created by Vector NTI®. In addition, SnapGene can import sequences and oligos from Vector NTI® databases. The parent-descendant relationships from a Vector NTI® database are visible in SnapGene using History view. 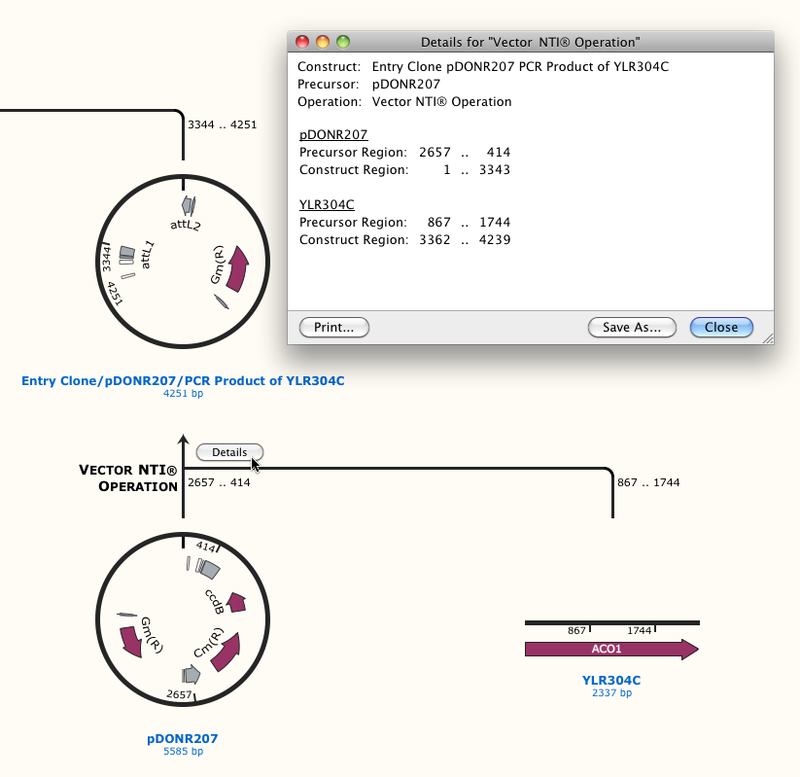 Shown below is an example of a Vector NTI® file viewed with the original program and with SnapGene. For more information, please visit our Vector NTI® transition page. 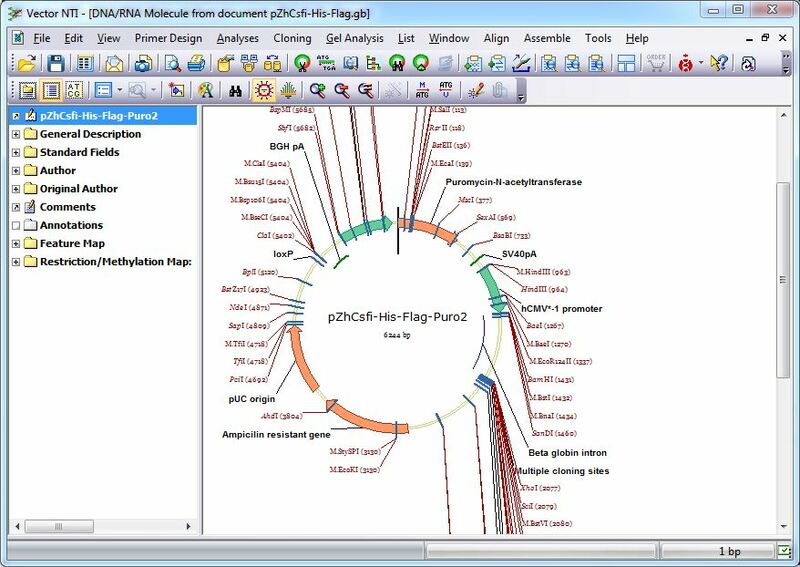 If you have trouble opening a Vector NTI® file with SnapGene or SnapGene Viewer, please send us a message and attach the file.